This time of year can be very stressful in the United States. Between fighting mobs at the mall to find the perfect presents, baking every free moment you get, and the headache of holiday travel, it is easy to get overwhelmed. To cope, we are always told the same cliché advice: concentrate on the simple things. I think that advice is in part the issue because instead of appreciating the simple as it naturally happens, we try to recreate what we remember. Our desire to relive joy and provide a similar cherished memory to our loved ones drives us to bake a ton, hunt for the perfect gifts, throw huge parties, and so forth. Forcing the situation to live up to our expectations puts us in a frame of mind that prevents us from noticing the little, unexpected, organic things. In my experience, travel is the best time to embrace the simple. We are cut off from our normal lives, let our guard down, and are taking in everything because it is novel to us. Accordingly, many of my travel memories are of the unexpected and simple. Below are a few examples. 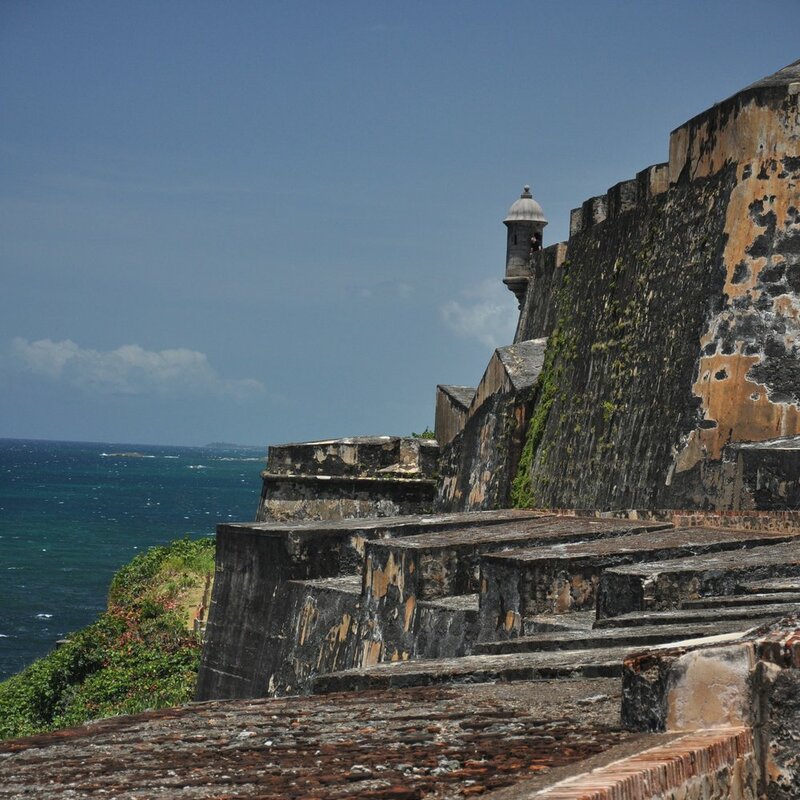 The old port town of San Juan was founded by the Spanish in 1508. Over the years there were attacks by the English, Dutch, and United States, but the town’s fort was never conquered. In 1898, the whole island was ceded to the US after the Spanish-American War. To this day, the town consists of row upon row of beautiful, pastel colored, Spanish-colonial houses. Street vendors fill the plazas, cafes and boutiques inhabit the first floors, and the fort stands watch at the end of the peninsula, separated from the town by a gently sloping green field. Despite the bloody history of this grassy park, we were surprised and delighted to find it filled with locals on the weekend who were out picnicking and flying kites. For a few bucks, we soon possessed a kite of our own and were trying our best to keep our craft aloft in the strong currents. We were kids again, although I remember being better at kite flying back then. Saltzburg, the birthplace of Mozart, is situated on the Salzach River on the edge of the Alps. It is what most people expect for a European city: cobblestone streets, baroque architecture, and a sense of agelessness. A major tourist attraction is the medieval Hohensaltzburg Castle, started in 1077 CE, that overlooks the city from on top of the Festungberg. When we were walking down from the castle, I saw some interesting looking houses just down the ‘wrong’ road and insisted we check it out. One thing led to another and we found ourselves in a park surrounded by ancient ruins. Eventually we made it to a promontory overlooking a beautiful valley plain that swept up to the majestic Alps in the distance. We stood mesmerized, accompanied by a crumbling tower, as the sun left for bed. Below us, on the edge of town, we saw a little cottage with a well-worn dirt pathway. Along it walked an elderly couple, hunched with age, the woman resting on the man’s arm, making their way home for the evening. When you have been out hiking, sitting down for that first meal is much anticipated. The longer you have been out in the woods, the more this holds true, not only because you miss having a chair to sit in but because you miss real food. The exercise, outdoors, and hunger seem to heighten the senses. When I am in the Adirondack Mountains of New York, I stop at the Noonmark Diner in Keene Valley or Tail-o'-the-Pup in Saranac Lake (although I have been known to frequent the Lake Placid Pub & Brewery from time to time). Never has this concept of the first meal held more true than on a fateful hike in 2008 in the Marcy Dam area. We were camped out at the dam and attempted Algonquin Mountain, the second tallest in New York. Half way up, a serious thunderstorm stuck, driving us back down the mountain to the shelter of our camp. That night, the storms continued to roll through, but that was not the only activity. When we woke up, we discovered that all our food had been stolen by a bear. After a 2 mile hike with heavy packs and growling stomachs, we made haste to Tail-o’-the-Pup, arriving just as they opened. Best food ever. After traveling, no matter how the trip has been, you realize that there is little we take more for granted than sleeping in your own bed. In the plane, your anticipation builds with every jab in your back, every stiff muscle, and every sneeze. From the airport to your house, your spirits lift no matter how exhausted you are. Entering the door, you toss all your luggage aside and jump into a luxurious, hot shower to wash away the grime of traveling. Then you collapse into your bed, pull the covers over your head, and pass into a deep, dreamless, rejuvenating sleep. No matter where you are or what you are doing this holiday season, try your best to live in the moment. Take a step back and acknowledge your surroundings, who you are with, what is going on. Look around like you are a traveler, new to this scene, fully aware that it will never happen again, and enjoy it for all it is worth.